Have you ever looked at your debit or credit card and wondered what your balance was? Well, rather than going to an ATM or checking your online statement, ultra-thin batteries could potentially allow for a tiny screen on your card to display your balance. 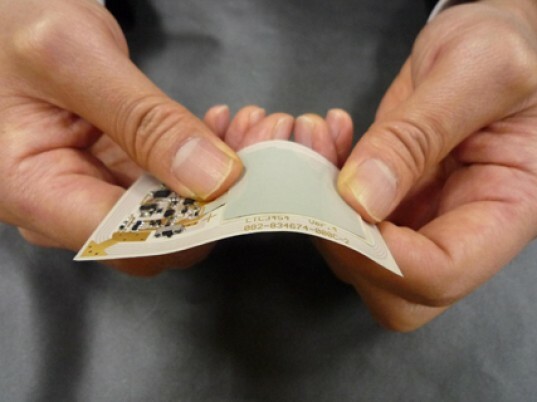 It is one of several ideas being discussed for the incredibly thin and flexible technology. ORB batteries have a high power output, and according to NEC, have faster recharging speeds than existing rechargeable batteries, including lithium-ion batteries. Currently, the ORB prototype has been manufactured using printing technologies to integrate circuit boards with batteries, allowing for negative electrodes to be embedded directly onto the circuit boards. Wrapped in a polymer film that is 0.05mm thick, the batteries can be inserted into circuit boards that in turn can be equipped with small electronic components, such as an antenna. Despite being incredibly thin, the ORB batteries have a decent power output with 3mAh capacity and 5kW/L high-output power density per unit volume. It layman’s terms, this means that the new ORBs are capable of 2,000 display screen updates, 360 consecutive flash firings and 35 location transmissions on a single charge. What is even more impressive is that the new batteries maintain 75% of their charge-discharge after 500 cycles, which is the performance rate of mobile phone lithium-ion batteries. 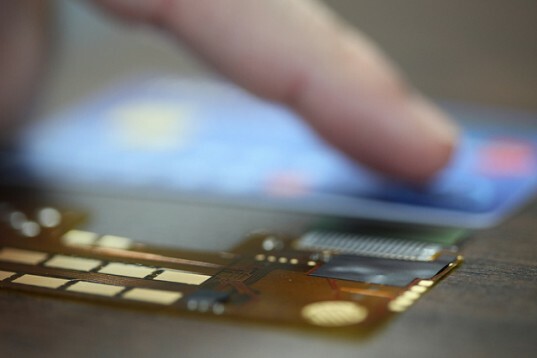 It is hoped that in the near future, credit cards using these new ultra-thin, flexible batteries will be capable of including visual displays and advanced encryption processing. In fact, NEC has said they are already working on new functions.